The chapter elaborates interlinkages between water and security challenges and opportunities in the Middle East with a focus on the Euphrates and Tigris and Lower Jordan basins. The authors argue that well-linked, scientifically informed multi-track water diplomacy can foster political will and erode barriers to conflict resolution so that transboundary water governance platforms can be effectively utilized when opportunities for improved cooperation occur. 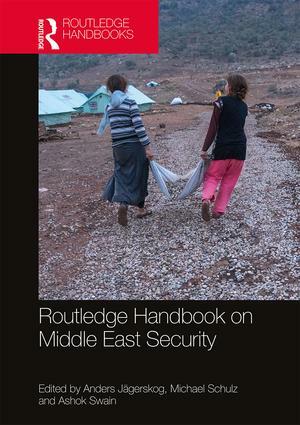 The Routledge Handbook on Middle East Security will serve an important resource for practitioners, academics and students. The inclusion of SIWI’s Klimes and Yaari’s chapter is significant in that it elevates water governance and transboundary water management perspectives, challenges, and experiences from the Middle East – within the securities discourse. For more information about the book and how to order, click here! Through SIWI’s Shared Water Partnerships Programme, stakeholders engage in processes to strengthen cooperative transboundary water management to help build and maintain peaceful and sustainable societies. SIWI also hosts the UNESCO Category II International Centre for Water Cooperation.